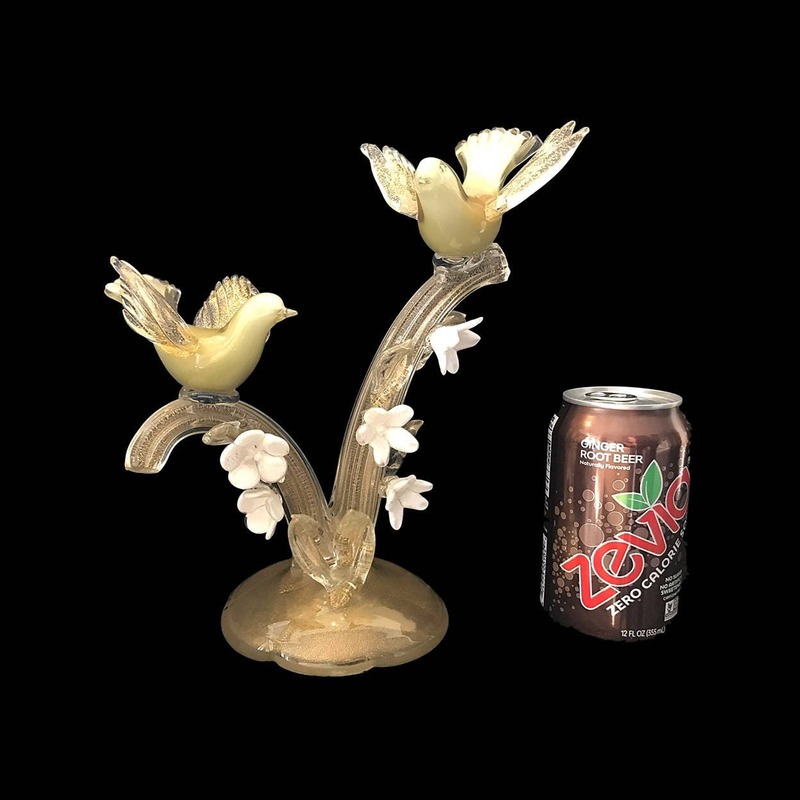 Magnificent weep-worthy mid-century Alfredo Barbini glass birds in branches with flowers glass sculpture. 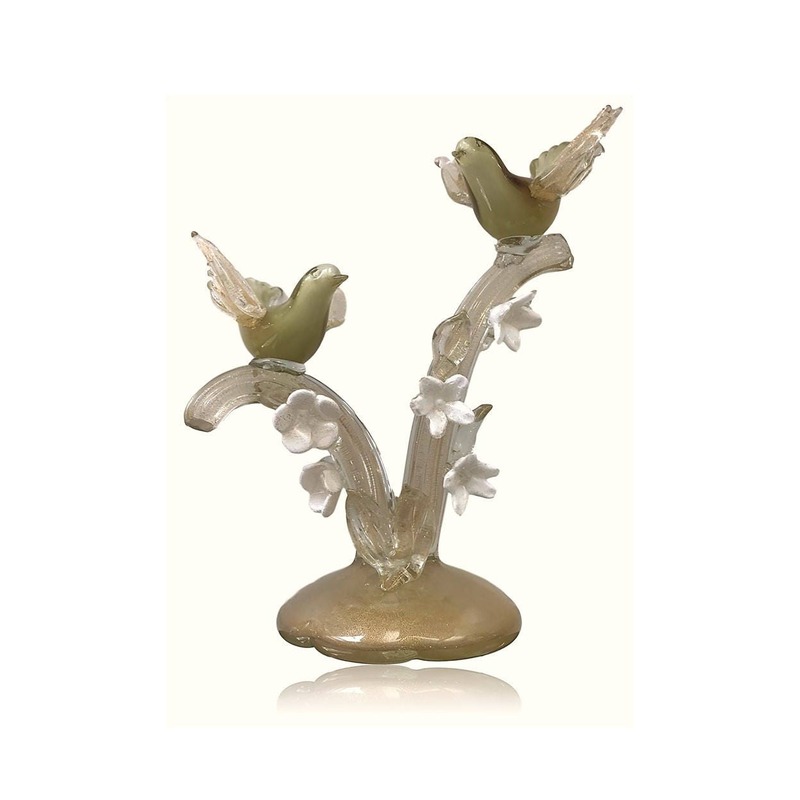 The branches are done in crystal glass strewn with gold aventurine while the birds are done in a deep gold/green over lattimo. This piece is well documented as a Barbini creation for Weil Ceramics & Glass. Perfect undamaged condition!